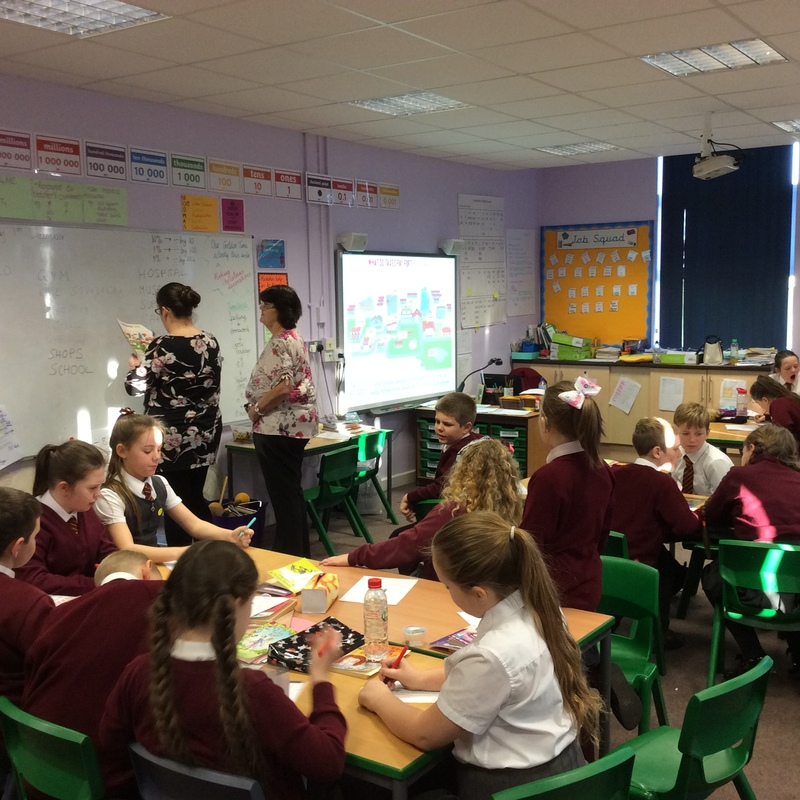 On Tuesday 6th February, Lisa Baggaley from Liverpool School Improvement Team visited our wonderful school to find out about all of the fantastic work we have been doing to raise the profile of Maths at Halsnead. Lisa spent the full morning visiting our on-site allotments, popping into classrooms, talking to parents during our Parent and Toddler Morning, speaking to governors, staff and children and also looking at the wealth of evidence that as a school we put together. "Thank you for inviting me into your school and providing such a warm welcome. It was a pleasure to see your school and to meet with enthusiastic staff and engaging pupils. The positivity around mathematics was a delight to see and it gives me great pleasure to award you Gold standard in the Liverpool Counts Quality Mark". We are extremely proud of our achievements and would like to thank all of the staff at Halsnead for working so hard over the last few months, especially Mrs Cinnamond our Forest School Leader. Mrs Kendall would also like to thank our amazing Maths Ambassadors who have worked so hard and enthusiastically with every aspect of the award. Finally we would also like to kindly thank all of our parents, carers and families who continue to support us in providing our children with a secure understanding of Real Life Maths. You have all been very supportive in engaging in the activities and events that we have provided for our children over the last few months. We couldn't have done it without you and we look forward to continuing our partnership in raising the children of Halsnead's aspirations. Liverpool Counts aims to raise standards in numeracy and mathematics by changing attitudes and perceptions through the delivery of the Liverpool Counts quality mark and the promotion of the importance of numeracy as a life skill through business links and cultural opportunities. We will, therefore, be holding events to help everyone have fun and improve their mathematical skills. The dates of events will be advertised on our website. Please help support us to achieve these aims. Mr Horrocks has been busy photographing our beautiful city, this picture is from the Port of Liverpool! The symmetry in this photgraph is amazing! Next week is National Story Telling Week! Each class will be listening to a story book all about Maths! Mr Spruce was very excited to choose his favourite book to share! We will update this page throughout the week with photos! A selection of these books will also be available for you to share with your child at the Tea and Toast Review on Wednesday 31st January! We look forward to seeing as many of you there as possible! In the meantime have a look at this website to see how you can teach your child all about Maths - through story books!! Send your photographs into school, of you and your child sharing Maths through stories at home! We would like the children to come to school wearing a number this could be a football shirt, badges, hats, tops even your very own creative number designs! There will be prizes for the best outfits! We look forward to seeing what you all come up with! Children are asked to bring a donation of £1 to help raise money for the NSPCC charity! Children will be taking part in a range of activities in their own classes such as baking, monopoly marathons, board games and lots more Real Life Maths Fun! Click below to see how wonderful our children looked on Number Day! Three of our Enthusiastic Maths Ambassadors - Josh, Libby and Thomas will be taking turns to try and beat Radio Presenter - Tony Snell! We have planned 3 very tricky questions to try and catch him out! Tune in on the day to hear what happens!!! Or look out for more exciting information here on our LCQM page!!! Click the link below to see photographs. Only one week to go until we get the chance to welcome Lisa Baggaley one of the Liverpool Counts Quality Mark Assessors, into our amazing school and show off all of the fabulous things we have been doing to raise the profile of maths at Halsnead and to teach our children about Numeracy for life! We know she will be as proud of are school as we are!! Some Fun Ideas to Teach Maths at Home! Be positive about maths! Avoid saying things like “Maths is hard” or “I hated maths at school”. Even if it’s TRUE!!!! Think about the attitude you want your child to have about Maths. At Halsnead we encourage our children to have a ‘can do’ attitude. Show children how you use maths everyday! Include your child in activities involving maths such as using money, cooking and travelling. Praise your child for their effort! Research shows that anyone can be a successful mathematician as long as they keep working hard, they can always improve. Gracelyn from Year 6 has been very busy at home making her own maths game! Year 3 loved playing this game and answering her questions!! What a Maths Superstar!! Well done Gracelyn and thank you foe helping us to raise the profile of maths across school! Measure Me - A fun measuring activity for exploring large and small measurements! HMRC visited Halsnead to teach us about tax. It was a very informative visit indeed! Staff Enjoying Maths Party Day! Number Fun on the Playground! BEDTIME MATH APP Fun app for bedtime maths! Have a look at BEDTIME MATH app!